A frequently asked question that we hear at DeFalco Family Chiropractic is: ice or heat? 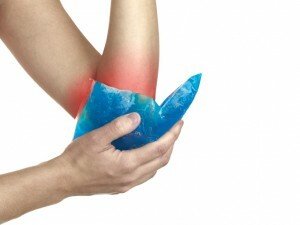 If you are not sure what to use to treat your injury or pain, always use ice as your chosen form of therapy. Usually, ice therapy is necessary to reduce pain and swelling during the first 72 hours after an injury. After 72 hours, you can switch to heat therapy to increase circulation and accelerate wound healing or loosen up tight musculature. DeFalco Family Chiropractic utilizes both ice therapy and heat therapy as necessary to help manage symptoms and decrease healing time. If you would like to learn more about the proper use of ice and heat therapy to treat injuries and pain, please contact DeFalco Family Chiropractic. Our chiropractic office is more than happy to educate you on ice therapy and heat therapy, or any other type of chiropractic treatment that we perform. Please contact us DeFalco Family Chiropractic with your chiropractic questions; we look forward to hearing from you and helping you feel better with the right chiropractic therapy.